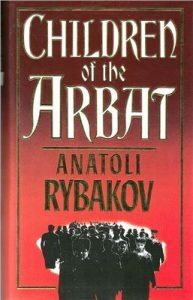 The Arbat is a Moscow neighborhood; its children are the teens and twenty-somethings caught up in Stalin’s increasingly repressive communism of the 1930s. These youth are generally supportive of the socialist ideals that brought communists to power in the years when they were born, are anxious to uplift of the proletariat and at the same time enjoy the vices and virtues of cafes, restaurants, and urban nightlife. One of their own, however, Sasha Pankratov, is exiled to Siberia on charges that are unfairly enforced by a mid-level government apparatchik. Stalin is portrayed throughout as an increasingly paranoid and unstable megalomaniac. Sasha’s friends blindly feel their way into an increasingly uncertain future — the rule of law is vanishing, Germany is increasingly militaristic, government is less trustworthy — and Sasha must decide how to make meaning with what is left of his life in a world with other exiles surviving among Siberian peasants. Rybakov wrote this book while still under communist rule and released it just as perestroika was first opening the USSR. 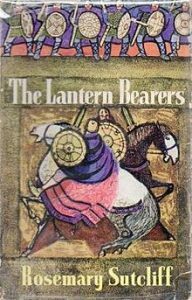 My mother’s Russian immigrant friend was a child of the Arbat and says the book is spot on accurate.